In late 2006 Inverse Order spent their nights in a studio to record a demo, and came out with a single worthy track, "Hope For Us All?" Successful in gaining funding for a music video from NZONAIR, they headed into the St James Theatre to film an appropriately evocative and dark feature. The single was released in May just in time for NZ Music Month, and has thus far has recieved widespread airplay on The Rock, Kiwi FM, B Fm, C4 (currently playing on Select Live) and Juice TV among a host of others. In the near future Inverse Order are heading back into the studio to record what will be their debut EP- accompanied by another single release later this year. Also on the cards are more energising live shows around their hometown of Auckland and much delayed visits to other corners of the country. Inverse Order are a four-piece Rock band, based in Auckland. 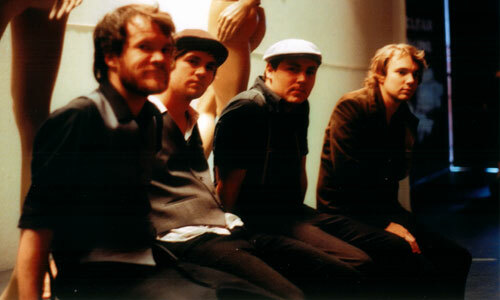 For more information on the band and links to their MySpace page, check out muzic.net.nz. 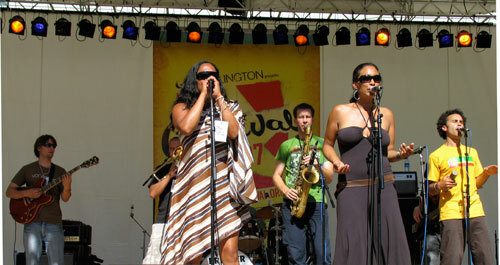 Solaa formed during 1997 in the spirit of jazz improvisation. The sound they developed was a unique New Zealand fusion of electronic and organic music. Rich in instrumentation, the music of Solaa bridges Hip Hop, Breaks, Funk, Soul, R&B, and Latin Flavours. Maintaining a band of 12 members over the last 10 years and developing an album with some of NZ's most talented vocalists. We need to break down barriers and unleash the power of independent artists in a supportive community rather then allowing the profit driven 'industry oligarchs' to stand in the way of our public being able to appreciate the full strength of our nation's musical talent. By imposing a commercial hierarchy the NZ music industry feeds the public what it deems to be 'commercially viable'. We all know now that 'commercially viable' and mainstream do not necessarily mean music that is more worthy of listening to then 'alternative' and underground. Just look at Fat Freddie's Drop they went from underground/alternative to becoming as much a universally loved part of NZ's musical identity as Crowded House or Split ENZ. They are a true representation of the fact that the public want more then music by numbers. We managed to release our debut album 'Steps in Time' in NZ, Europe, North America and Japan during 2006 alongside promotional tours of NZ, Europe and the US, this year we released our album in Australia and toured there as well. Our second album will be recorded in 2008. Our focus is that within 5 years we will have consolidated our profile in Australasia and that we will have expanded our touring into Asia (especially Japan) as well as Europe. For us its the spirit of collaborating, the ability to take people from diverse backgrounds and to enable them to openly share ideas and work in harmony as a collective whole. Its symbolic of the way our leaders learn to work in order to solve some of the global issues that we face today. Music is one of the most spiritually rewarding occupations, however like any career it requires commitment, discipline and dedication in order to succeed. Never base your goals on popularity, as this will distract you from the real magic that can be found in making music. To find out more information on Solaa, check them out on muzic.net.nz.